I am sitting in the Press Box at Dodd Stadium in Norwich, Connecticut. Attending the Connecticut Tigers game they are taking on the Lowell Spinners. I drove over from Williamsport, Pennsylvania today about a 6 hour drive. I had a great weekend attending the Little League World Series, I recommend that all true baseball enthusiasts get to Williamsport at least once. Little League has been able to keep the experience as authentic as possible. 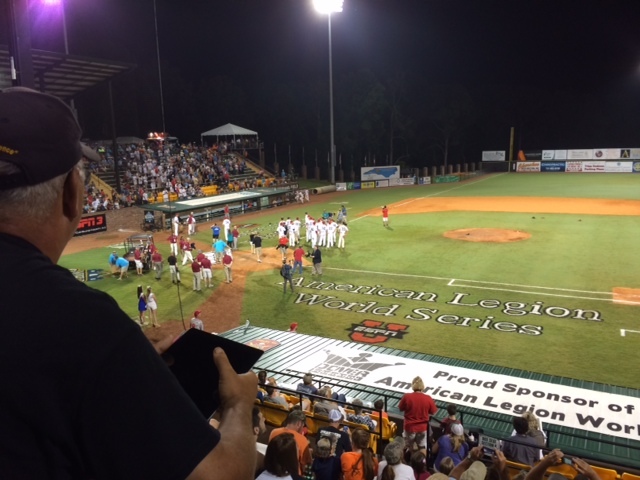 I also attended the championship game of the American Legion World Series on Tuesday of last week in Shelby, North Carolina. Mike Douglass a friend from Ashland met me in Shleby. We hadn’t seen each other in at least 25 plus years. 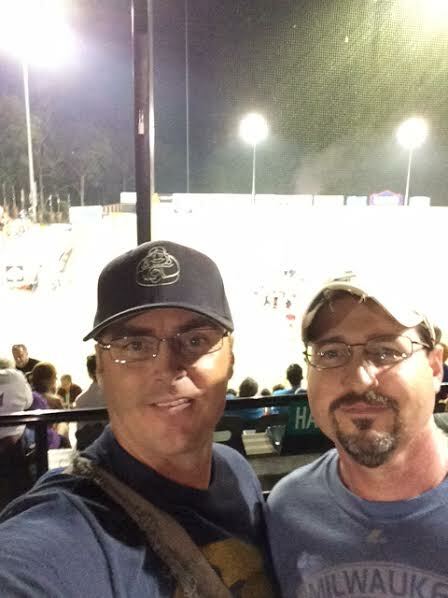 We had a great time, we did the ALS Ice Bucket Challenge, watched a game that was pretty much over before it even started. New Jersey beat Michigan 18-0. That didn’t matter as much as seeing Mike and reminiscing about years gone by, catching up on family members and reminding each other of idiotic things we had done! Me and Mike! Oredocker Nation! People have been criticizing the Ice Bucket Challenge, that is bound to happen when things go viral, it has raised a lot of money for ALS also known as Lou Gehrig’s Disease. I personally have been taken to task on some issues regarding why people are doing it, I was presented with statistics on how many people are affected by it and that money raised would be better off going to other causes since not very many people per 100,000 are affected. I understand the frustrations, I do but to have a rational discussion about an emotional issue is tough. Someone did actually say to me that the Ice Bucket Challenge has only become “trendy” because a couple of baseball players have it. I hope that the criticisms calm down, I know people think some are doing the challenge for narcissistic reasons, so be it, it brings attention to this devastating disease, others say why can’t people just donate, I hope people will and continue to do so. If people choose not to do it for religious or ethical reasons I respect that and I hope people don’t frown upon these people. Please watch Lou Gehrig’s farewell speech, if after you are not moved to donate to ALS, please donate to a cause of your choosing and remember, I am very patient when roads are closed while you run your 5K’s… Please be patient with people participating in the Ice Bucket Challenge.